What are the signs and symptoms of palpitations? What is the treatment for palpitations? Palpations are sensations by a person that they are having hard, rapid, or irregular heartbeats or a combination of these sensations. A brief description of the heart's function that should help readers to better understand palpitations.The heart is a two-stage electrical pump whose function is to circulate blood to the organs and tissues of the body. The heart's electrical system allows the heart muscle to beat in a coordinated fashion to maximize the pumping strength of the ventricles, the lower chambers of the heart, and make certain that there is an adequate amount of blood to be pumped. The upper chambers of the heart, called the atria (single=atrium) collect blood from the body and lungs and pump it into the ventricles. There needs to be a short delay to allow the ventricles to fill and then pump the blood back to the body and lungs to complete the cycle. The heart's electrical system allows this to happen, so that each chamber of the heart beats (contracts or squeezes) when it's supposed to. The sinoatrial node (SA node) is a collection of special cells embedded in the heart muscle of the right atrium. They act as the pacemaker for the heart by generating an electrical impulse 60 to 80 times per minute. This signal is transmitted to all the atrial muscle cells so that they can fire at the same time and pump blood from the atrium to the ventricle, the first half of a heartbeat. At the same time, an electrical impulse is sent to the atrioventricular node (AV node), located in the junction between the atrium and ventricle. The AV node acts as an electrical junction box and delays the electrical signal for a fraction of a second so that the ventricle can fill with blood from the atrium. It then sends the signal to all the muscle cells of the ventricle so that they can fire together in a coordinated fashion and generate the second half of the heartbeat that pumps blood to the body. Every heart muscle cell has the potential to generate an electrical signal that can spread outside the normal conduction pathways that may or may not generate a heartbeat. If the SA node fails to function, other cells in the atrium attempt to generate a heartbeat. If they too should fail, the AV node can act as a pacemaker but usually generates a signal at only 40 beats per minute. If the AV node should also fail, the ventricle itself can generate its own electrical signal as a final backup, but only at about 20 beats per minute. A palpitation describes the sensation that occurs when a patient feels an abnormality in the normal beat of the heart. 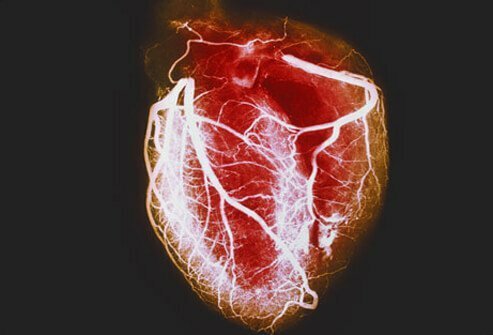 Abnormalities in the electrical conducting system may cause the heart to beat too quickly, too slowly, or irregularly. Sometimes a palpitation may be a normal variant but it may also be caused by a significant problem that could be life threatening. A palpitation may be an isolated extra heartbeat or it may describe a run of many extra beats that run together for a prolonged period. Sometimes a missed beat or a pause can be felt. In some patients with palpitations, no heart disease or abnormal heart rhythms can be found. In others, palpitations result from abnormal heart rhythms called arrhythmias. Arrhythmias are heartbeats that are too slow, too rapid, irregular, or too early. There are different types of palpitations depending upon where in the heart the electrical signal is generated and whether that signal can generate a heartbeat. Many extra heartbeats are normal variants and most patients are unaware that their heart has had an extra beat or two; however, others may be dangerous causing short- and long-term complications. Palpitations that originate in the atrium tend not to be acutely life threatening as compared to those that originate in the ventricle. Palpitations are often described based upon their source location (atrium, AV node, or ventricle), their frequency (isolated or clustered in runs of many beats together), whether the beats are regular in rhythm or irregular, and whether they are persistent or stop on their own (self-limited). However, some palpitations are symptoms of an arrhythmia. Some investigators do not include certain arrhythmias when discussing palpitations, but others include them as possible symptoms patients notice during these arrhythmias. This article will include these arrhythmias. A premature atrial contraction (PAC) occurs when the SA node generates a beat before the heart is quite ready and while a heartbeat is generated, it can feel as if there is a thump or flop in the chest. Because of its early timing, a PAC is often followed by a slight pause as the SA node resets itself. A PAC is a normal variant and may or may not be felt by a patient. A premature ventricular contraction (PVC) is similarly caused by an early beat by the ventricle, usually caused by an extra electrical beat generated in a muscle cell located in the ventricle. Since it is early, the patient can feel a thump as the heartbeat is slightly misplaced in its normal cycle. As with PACs, PVCs may be asymptomatic and the patient may be unaware that they are occurring. Neither an occasional PAC nor PVC affects heart function. Supraventricular tachycardia (SVT) is a general term that describes a rapid heartbeat that arises from electrical signals generated above the ventricle from within the atrium. It may occur due to outside forces acting upon the heart or because of "a short circuit" or abnormal wiring of the electrical conduction system. SVT may be a normal physiologic response to a stress upon the body. When the body requires more oxygen, it releases adrenaline, which causes the heart to beat faster to increase blood circulation. This may occur as a response to exercise, illness, or injury. SVT may also occur because of electrical conducting system abnormalities within the atrium and the AV node and may occur without an apparent underlying cause. This is referred to as paroxysmal supraventricular tachycardia or PSVT. This rhythm may start and stop on its own, seemingly without reason or warning, and may last only a few seconds or may require emergency intervention for it to stop. There can be inborn wiring errors of the heart that can cause special forms of PSVT. Wolff-Parkinson-White (WPW) syndrome is one example and palpitations may occur early in life or not be experienced until later in adulthood. SVT may caused by chemicals that appear similar to adrenaline to the heart. These include caffeine, over-the-counter cold medications containing pseudoephedrine, alcohol, and other stimulant drugs like amphetamine and cocaine. Excess thyroid hormone or electrolyte abnormalities in the bloodstream may irritate the atria and precipitate SVT. While anxiety may cause the patient to experience these types of palpitations, the health care professional may want to consider other potential causes before ascribing this diagnosis. In some patients, the atrial muscle cells all act like pacemakers, generating an electrical impulse. This causes electrical chaos and the atria cannot beat in a coordinated fashion. Instead of generating an organized atrial contraction, the atria instead fibrillates, or jiggles like a bowl of jelly. The numerous electrical signals that are generated bombard the AV node and it tries to respond but passes on only some of the hundreds of signals that it receives each minute to the ventricle. This leads to the ventricle beating rapidly and irregularly which is termed atrial fibrillation (A Fib). Atrial flutter (AFL) describes a situation where there is an electrical short circuit in the atrium and a loop of cells generates a rapid regular atrial rhythm of about 300 to 400 cycles per minute. The AV node receives these many signals and tries to protect the ventricle from the barrage and passes on only every second, third, or fourth impulse. Often a patient in atrial flutter will have an atrial rate of 300 beats per minute but a ventricular rate of only 150 beats per minute. This rate is still fast enough for the patient to experience palpitations. Even though atrial fibrillation and atrial flutter are relatively safe rhythms, there are complications that may result. When the atrium jiggles and does not contract, there is a potential for blood in the crevices of the atrial walls to become stagnant and form small clots (thrombus). There is a potential that a clot may break away and travel (embolize) to small arteries in the body, blocking circulation and oxygen delivery. In this way, atrial fibrillation is one of the risk factors for stroke and other vascular problems. Atrial fibrillation may also affect the heart's efficiency. Without the kick provided by a coordinated atrial beat, blood delivery to the ventricle is decreased and cardiac output -- the amount of blood circulated to the body with each heartbeat -- falls. As opposed to rapid atrial rhythms, it is potentially life-threatening situation when the ventricle beats too quickly. Ventricular tachycardia (VT) occurs when the ventricular electrical system starts firing on its own without input from the SA or AV node. Depending upon the situation, ventricular tachycardia may or may not beat in an organized way and generate a heartbeat. Ventricular fibrillation (V Fib) is not compatible with life since the chaotic electrical signals do not generate a coordinated heartbeat. The ventricle jiggles and blood is not pumped to the body. Ventricular fibrillation is the rhythm commonly associated with sudden cardiac death. Both ventricular tachycardia and ventricular fibrillation are seen as complications of ischemic heart disease, especially after a heart attack, where the ventricular heart muscle is irritated because of lack of blood supply. Patients may also complain of fullness in their chest or throat. There may also be associated shortness of breath, nausea, and sweating. If the heart rate is very fast, the patient's blood pressure may fall causing lightheadedness and the sensation that they might faint or pass-out. Syncope, where the patient actually does faint or pass out, may occur depending upon the cause of palpitations. Palpitations may be difficult to diagnose, since often the symptoms are intermittent and may not be present when the patient presents for care. Are the palpitations an isolated extra or skipped beat or are there runs that can last for minutes or hours? What makes them come on? What makes them go away? What other symptoms might be present, including shortness of breath, chest pain, sweating, nausea and vomiting, lightheadedness, and syncope? Past medical history is important, including a history of heart or lung disease and prescribed medications. Knowing whether other medications or drugs are being used will be helpful. These include caffeine, over-the-counter medications, herbal medications, alcohol, and illegal drugs that may affect the heart (for example, cocaine, amphetamines, and others). Physical examination will often concentrate on the heart and lungs, but may also focus on other organ systems if it is appropriate. Blood tests may be helpful to look for underlying medical conditions that may cause palpitations. These may include a complete blood count (CBC) or hemogram looking for anemia (low red blood cell count), electrolytes, kidney, and thyroid function. Often the patient does not present when the palpitations are present but an electrocardiogram (EKG) may still be helpful in looking for indirect evidence as to the potential cause. A heart monitor may be useful because some patients are unaware that they have PACs or PVCs and this may help make the diagnosis. It may be frustrating for the patient to make an appointment with his or her doctor or go to an emergency department complaining of palpitations, only to find that they have stopped by the time they are evaluated. Unless there is concern about a life-threatening situation, most patients with palpitations are evaluated as outpatients. A variety of heart monitors can be worn for days or months at a time that can record and even notify the health-care professional if a significant heart rhythm abnormality is detected. In certain circumstances, the heart rhythm might be evaluated by electrophysiological studies, where the electrical system of the heart is mapped out. The process is similar to a heart catheterization, but the catheter enters a vein instead of an artery. The long catheter and electrode is guided into the heart and used to evaluate the electrical pathways inside the heart muscle. In addition to being diagnostic, sometimes short circuits may be found and treated by ablation or destroying the abnormal circuit. Wolff-Parkinson-White syndrome is often treated in this way. It is a medical emergency if palpitations are associated with chest pain (including jaw pain, indigestion or extreme fatigue), shortness of breath, or syncope (passing out). It is important to activate the emergency response system (call 9-1-1) and seek medical care immediately. Palpitations are treated depending upon the underlying cause of the abnormal heart rhythm, and is tailored to the specific patient's needs. Many causes of palpitations are self-limiting and lifestyle changes may help decrease their occurrence. These include deceasing or avoiding the use of caffeine, alcohol, and over-the-counter cold medications. As well, many herbal medications contain stimulants that may affect the heart's electrical conducting system. Smoking cessation is always appropriate. Depending upon the underlying cause of palpitations, medications may be prescribed to control the heart rate and rhythm. Other treatments may involve ablation or surgical techniques to remove the underlying cause of certain palpitations. Pacemakers and defibrillators may be indicated if life-threatening conditions are the cause of palpitations. Many palpitations are temporary only and are caused by situations that can be resolved by lifestyle modifications. For example, premature atrial contractions and premature ventricular contractions are variations of normal and do not affect life expectancy but may be prevented by decreasing the intake of stimulants like caffeine and alcohol. These palpitations usually have a good prognosis. Other causes of palpitations may require medications or surgery to control the heart rhythm disturbance. The goal is to return the patient to their previous level of health and activity, minimizing restrictions on their daily lives. These palpitations have a prognosis from good to fair and occasionally poor, depending on the individual's response to treatment. Some causes of palpitations, including atrial fibrillation and atrial flutter may be due to underlying heart disease, especially ischemic heart disease. Risk factors that can be controlled include lifelong control of high blood pressure, high cholesterol, and diabetes, plus smoking cessation. Some patients with palpitations will benefit from avoiding caffeine, alcohol, over-the-counter cold medications (especially those that contain pseudoephedrine), herbal medications, and other stimulants. Mann D. L., et al. Braunwald's Heart Disease: A Textbook of Cardiovascular Medicine. 10th edition. Saunders. 2014. The aorta is the largest artery in the body. See a picture of the Aorta and learn more about the health topic.